Today more than ever, everyone must be her or his own healer, and this is especially true in the management of anxiety and depression. In the first major conceptual leap in mental health care in forty years, Mind Easing’s Three-Layered Healing Plan harmonizes wellness approaches, therapy, and, when needed, medicine into a safe and effective plan tailored to the needs and wishes of the individual. Written by noted psychiatrist Bick Wanck, MD, one of the founders of the American Academy of Addiction Psychiatry and an experienced clinician, writer, and educator, Mind Easing shows how to relieve and often resolve anxiety and depression by assisting the mind’s natural ability to heal. Along with non-medicinal healing methods, Mind Easing shows how to use psychiatric medicine (if needed) safely and effectively as part of a mindfully constructed healing plan. Because some psychiatric medicines can blunt feelings and dull thinking, they can impede the flow of healing and interfere with the pleasures of living. Mind Easing suggests when and how psychiatric medicines may be stopped when they are counterproductive to healing. 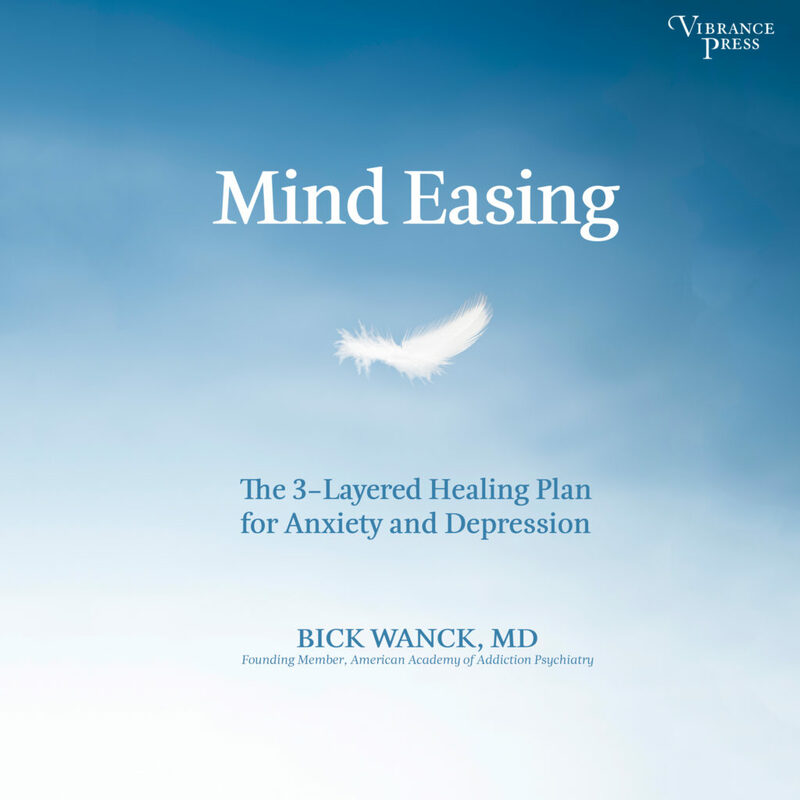 Mind Easing presents a comprehensive Three-Layered Healing Plan for anxiety and depression. Some readers will find all they need in Layer One: Enhancement of Healing without needing the help of a professional. Others will benefit from Layer Two: Guidance which describes how psychotherapy, body and energy work, and spiritual guidance may be used to assist healing. Those readers who experience severe anxiety and depression will find helpful information in Layer Three: Restoration of Healing. where Dr. Wanck explains the concepts of “soft” and “hard” anxiety and depression. Soft anxiety and depression are generally caused by stressful current life events or past genetically inherited conditions or by physiologic hardening of symptoms resulting from persistent or severe adversity or trauma.